Want to learn the secrets of properly stretching pizza dough by hand to make the best homemade pizza crust? Here are the steps to using the best technique. In order to get the best pizza crust possible, you have to start with proper ingredients. Using the correct flour is very important and allowing the dough to rise properly is also a must. Note: Before you start stretching, make sure your countertop or whatever surface you'll be working on is dusted with flour. Once your dough has risen, you're ready to stretch it out into a flat disc. You may be tempted to use a rolling pin to do this, which can sometimes work fine, but it often causes the dough to tear easily, You will also find that the dough keeps shrinking back on itself making it difficult to get a large enough disc. Start by pressing your fingers together, standing them straight on the tips and stiffening them. 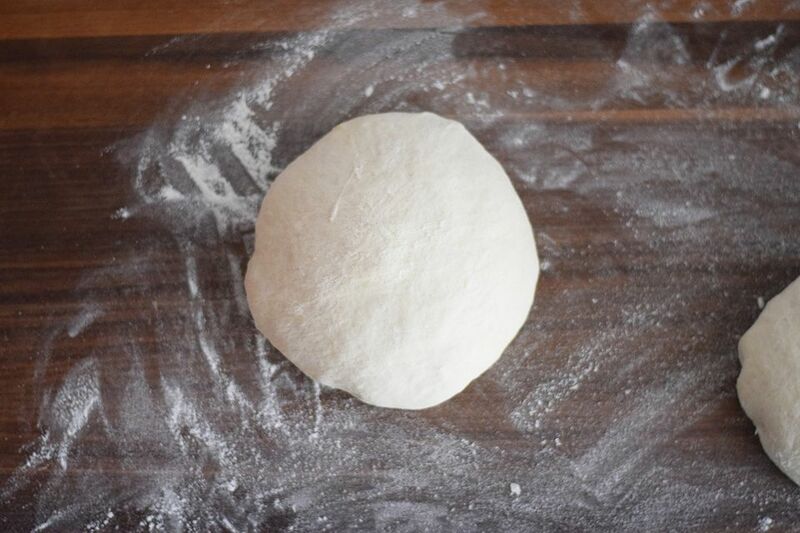 Practice this on the countertop first; when you're ready, place the dough ball on a well-floured countertop and flatten it slightly by pressing down on it with the palms of your hands. Then, begin pressing into the dough with your fingertips, gently working them outward and pulling the dough with it. Rotate the disc to make sure you are stretching it evenly into a circle. Leave the outer edges a little thicker for the crust. Keep doing this until the dough has flattened and widened into a small disc. Take the disc and lightly press dominant your hand flat on top of it. Take hold of the left edge of the disc with your other hand and quickly lift the disc and flip it over so the bottom edge rests on your right wrist, and the rest flops over your hand, which is now palm up. Next, flop the disc back down onto the floured countertop. Repeat this several times and you will quickly notice the dough stretching out each time. Do this until the disc is the size and thickness you prefer, but be careful not to let it get so thin that it tears. Voila! 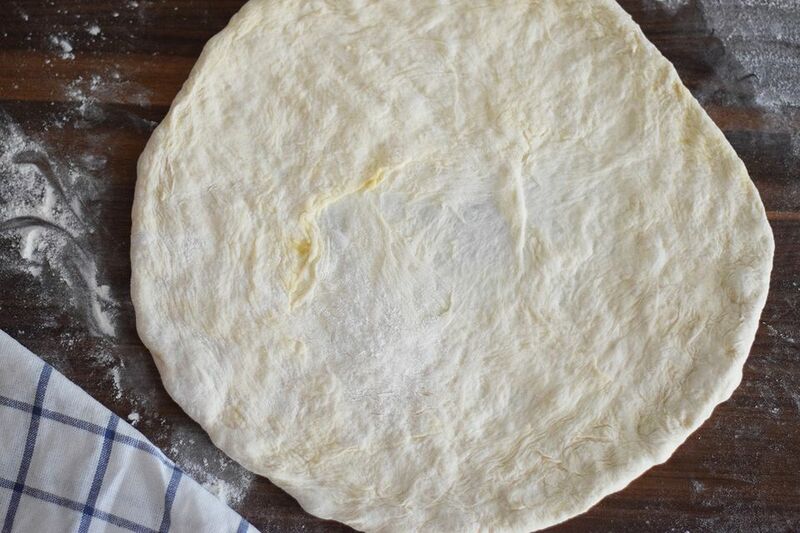 You have a perfectly hand-stretched round of pizza dough. Now you're ready for some toppings; try classic Neapolitan or pesto and white bean toppings.